Read on to access the location and all contact details on the Embassies and Consulates in Málaga (City) and nearby offices that our editors have prepared for this occasion. 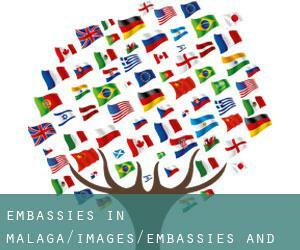 The embassies are usually located near the capital and are diplomatic representatives on the government abroad. They facilitate contact between governments so political representatives don't need to move. When you look beneath you will see the Consulates in Málaga and nearby towns that exist in our database diplomatic missions worldwide. Contact us if there is any any of all Embassies and Consulates in Málaga (City) not know or have not included in our system. The premises from the embassy or diplomatic mission are kind of sacred. The host country authorities may possibly not enter the premises with out the consent of the head from the Embassy. The Consul may be the individual who heads the Consulate. Sometimes functions as a delegation from the Embassy, where they collect the steps which might be taken towards the Embassy, and other necessities. Access to this section for a detailed listing of all Chinese consulates, embassies and representative offices located near Málaga. ConsulBy gives all Indian citizens with an updated and verified list of all Indian consular offices so they can make contact with them with any unexpected scenario while in Málaga and its surroundings. Have a look using this link a collection of all US embassies and consular offices placed around Málaga, just in case you need assistance while you're abroad. Check the Nigerian diplomatic mission in Málaga, responsible for offering assistance and help to any Nigerian person when they are visiting the country. Access to this section for a detailed listing of all Russian consulates, embassies and representative offices located near Málaga. ConsulBy gives all German citizens with an updated and verified list of all German consular offices so they could contact them with any unexpected situation although in Málaga and its surroundings. Have a look using this link a collection of all French embassies and consular offices placed around Málaga, just in case you will need assistance while you're abroad. Check the British diplomatic mission in Málaga, responsible for providing assistance and help to any British person even though they're visiting the country.